Authentic Roulette Original – This ‘classic’ European version of Roulette is presented by four croupiers. It offers a very immersive experience, for the HD cameras placed at different angles around the table, the casino noises in the background and the real players in the room placing bets alongside the virtual players really make this experience one of a kind. 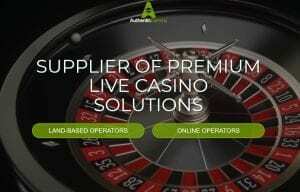 Authentic Roulette Live 30s – As regards this version, it is similar to the original version, however this one is automated, meaning there are no live dealers. There are also 30 second breaks between each round, time during which the player may prepare his next bet. This short variant will keep your adrenaline pumping! If one is to play without any interruptions for 1 hour, they may play up to 120 rounds – an ideal game for players in a rush. Authentic Roulette Live 60s – This version is basically the same as the Authentic Roulette Live 30s, except in this variant of the game a new round is played every 60s which is still a brief enough pause to give gamblers a rush of excitement. This makes it perfect for those in a bit of a hurry, but for whom 30s is too short of a break. Authentic Roulette Superieur – This French variant of the game is presented by four live dealers in order to offer iGamers the best experience they possibly can have. It boasts the same RTP of 97.3% as other Authentic live gaming European Roulette games. Authentic Roulette Turbo – As one may guess from its name, this is a swift game! This incredible experience mixes the immersion of live Roulettes streamed from land-based casino, the players murmuring in the background as the croupier announces the winner, but with the thrill of faster Roulette games such as Authentic Roulette Live 30s. It is presented by a single croupier, and there is no need for you to wait until the wheel is done spinning to place bets – you may place them as it is still spinning, or until the dealer tells you to stop. Authentic Roulette Professional – This version was created especially for experienced players and uses the European table and wheel layout. Presented by just one live dealer, this session feels more exclusive, and the high-quality shots from different angles really give it added value, making the gameplay more fluid and enjoyable. 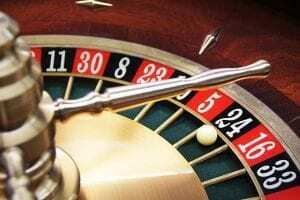 Authentic Roulette Double Wheel – This Roulette game is played according to American rules, however the supplier has made a few modifications – it features 38 numbers instead of the classic 36 found in the American version, as well as the same RTP as other Authentic Roulette tables. It is an automated Roulette game in which two wheels are placed side by side. Gamblers may choose to stake on both the wheels or only place a bet on one of them. Authentic Gaming Blaze Live Auto Roulette – This game is Authentic Live Gaming’s most recent release, and it really sets a new standard for Live Roulette games, for it takes the best from Roulette tables presented by croupiers and automated play in order to offer players a one of a kind experience. A live presenter hosts the game between 7pm and 1am, however gamblers may place bets on this wheel 24/7. With 45s between every round, this rapid game is aimed at more experienced players, however it is sure to provide a fun experience to all gamblers. Led by CEO Jonas Delin, the company is based in Malta and has recently moved into new headquarters, for its previous office was getting a little tight for the growing team of designers, developers, engineers and technicians. Aside from its Maltese studio in the Live Arena, Authentic Gaming live streams its Roulette tables from a variety of lavish locations all around the globe. These include the Foxwoods Resort Casino in the USA, the Platinum Casino at the Radisson BLU Hotel in Romania, the Casino International Batumi at the Hilton Hotel in Georgia, the Saint-Vincent Casino in Italy and finally the Royal Casino in Denmark. The fact that the firm already provides its games to various UK-licensed operators gives it a certain advantage, and its large offering promises to be a smash hit amongst gamblers in the UK. Now that Authentic Gaming is regulated in UK, who are his competitors? However, the obstacle course has yet to come to an end for Authentic Gaming, for a sea full of rivals awaits the company in the highly competitive UK gambling industry. Amidst them, Amaya gaming, a renowned gaming operator present on the market since 2004. Its service offering is very complete, and includes live Baccarat, live Blackjack and also live Roulette, which are all streamed from their studio in Estonia. Another supplier which may become a threat to Authentic Gaming is Evolution Gaming, for the firm is the European Market leader. They offer a variety of live casino games including a wide range of Roulette games and they are licensed in a number of countries in Europe, where most of their live studios can be found, but also on the American continent. Amongst its competitors, we find some more big names of the industry, such as Betconstruct, Extreme live gaming, Medialive, Microgaming, NetEnt and Playtech. 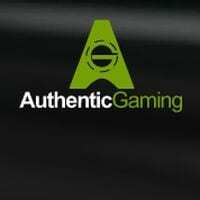 Despite working in a rather saturated market, gaming continues to grow in customer interest, and with its alluring selection of exciting live Roulette games, Authentic Gaming will surely succeed to establish itself in the UK market.